Ms. Litwin has handled cases involving complex tax, wire fraud, mail fraud, RICO, money laundering, drug trafficking, bank fraud, healthcare fraud, and aggravated identity theft; as well as alleged violations of the Foreign Corrupt Practices Act. 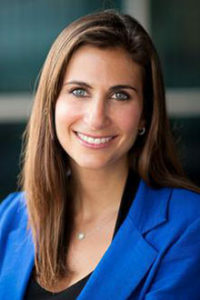 Ms. Litwin was recently named by the National Trial Lawyers as a Top 40 under 40 lawyer and the Cystic Fibrosis Foundation as one of the 40 Under 40 Outstanding Lawyers of South Florida. She was nominated by the Daily Business Review as a finalist for the Most Effective Criminal Lawyer in 2012 and 2017. She is the vice-president of the Board of Directors of Transition, Inc., a non-profit providing job training and placement services to ex-offenders, and she is involved as a committee member at the Women’s Fund. Before joining Seitles & Litwin, Ms. Litwin clerked for Judge James Lawrence King on the U.S. District Court for the Southern District of Florida and Judge Peter T. Fay on the U.S. Court of Appeals for the Eleventh Circuit. Ms. Litwin was also an associate at Jenner & Block LLP in Chicago, Illinois, where her practice focused on complex commercial litigation. Ashley is admitted to practice in Florida and Illinois and is a member of the S.D. of Florida, the Eleventh Circuit, the 2nd, and, 5th DCA.